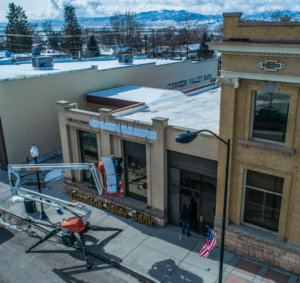 Workers remove the Gunnison Valley Bank sign on Monday to make way for signs for the State Bank of Southern Utah, which just merged with the century-old Gunnison Valley institution. 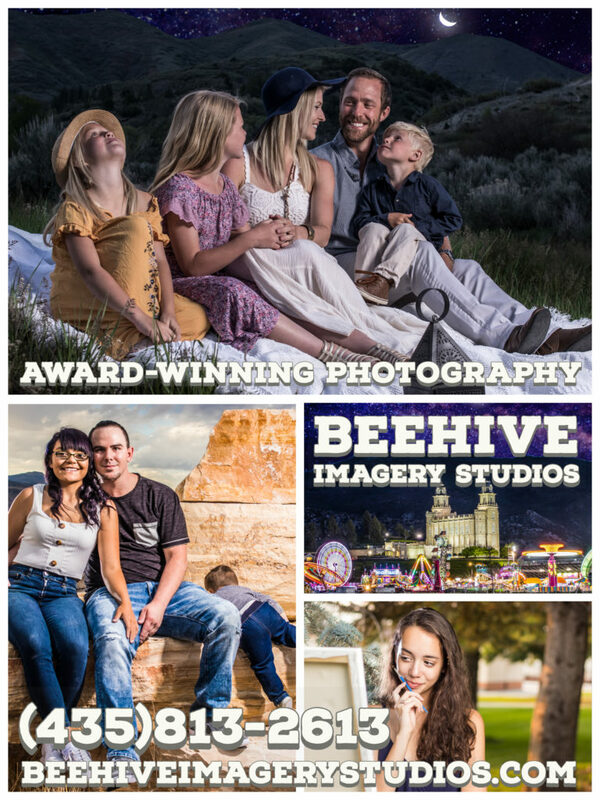 GUNNISON—Customers of Gunnison Valley Bank can expect a host of new services but with the same local service as the century-old financial institution merges with State Bank of Southern Utah. On Oct. 23, 1909, Gunnison Valley Bank opened its doors for business. The bank’s stately, two-story brick building has been a prominent landmark on Gunnison’s Main Street ever since. 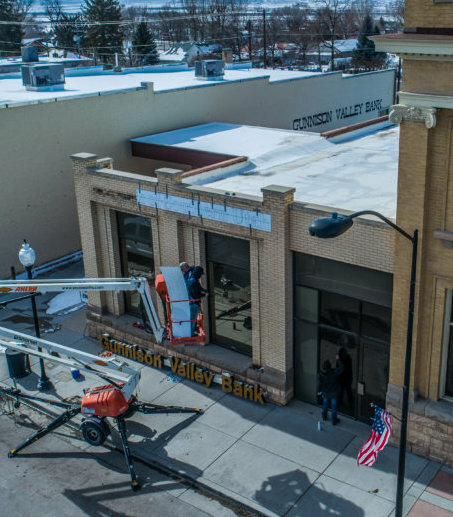 In January, stockholders of Gunnison Valley Bank voted to merge with State Bank of Southern Utah, which is headquartered in Cedar City and has offices throughout Southern Utah. Schmutz said State Bank’s $1.1 billion in assets offers strength and stability for Sanpete County. According to State Bank officials, Gunnison Valley Bank customers can continue using their checks and debit cards for now. 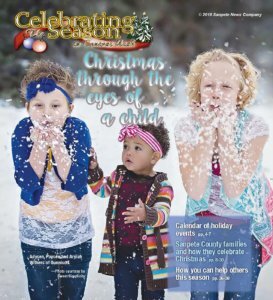 State Bank will be working on a system conversion over the next few months to transfer Gunnison Valley Bank customers over to State Bank’s computer system. State Bank is one of the few in Utah institutions rated “outstanding” by the FDIC for compliance with the Community Reinvestment Act. This measures how well a bank gives back to the community and serves its credit needs.